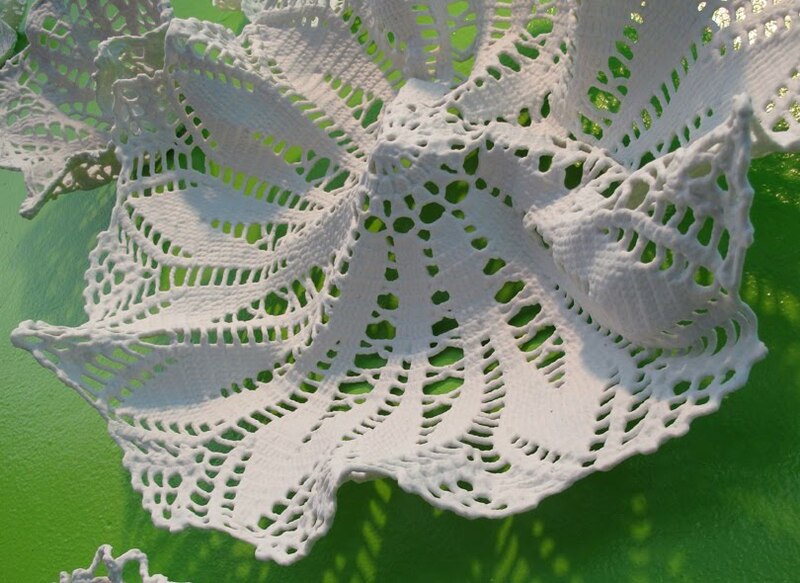 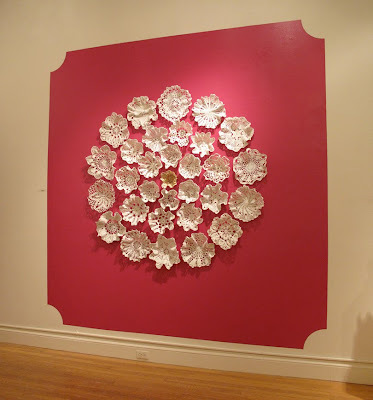 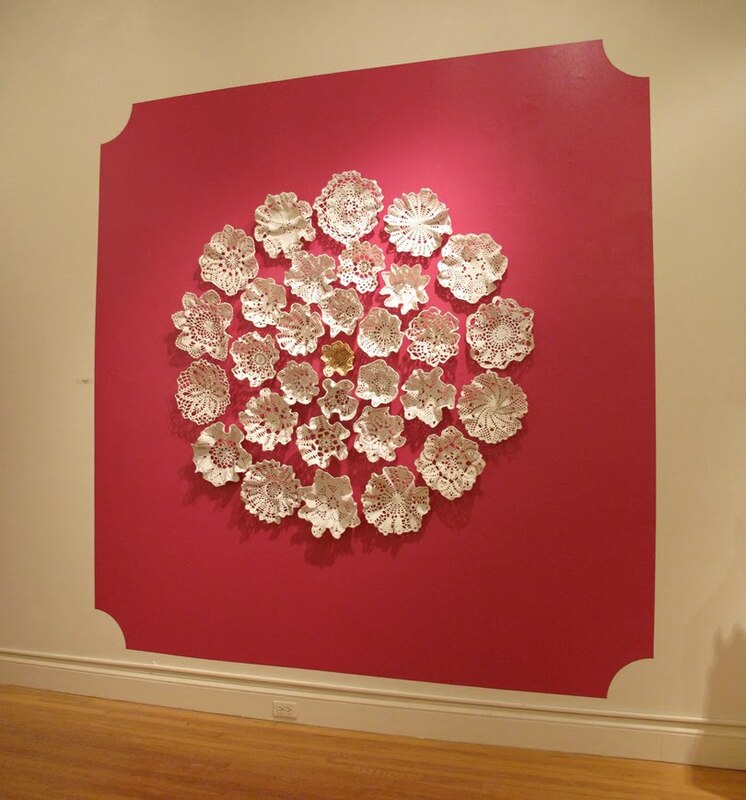 these gorgeous doilies are not cloth... anymore. 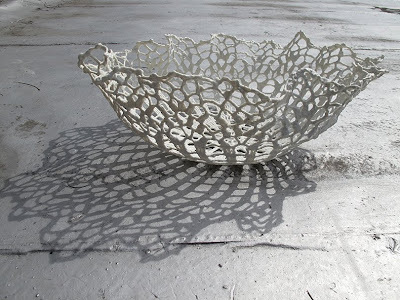 kristen makes these gorgeous porcelain sculptures by dipping a crocheted doily into liquid porcelain, and then fires the sculpted piece in the kiln. the result is a fiber free... the crochet burns out in the hot kiln... gorgeous delicate piece of art. such a simple idea, creating impactful art.